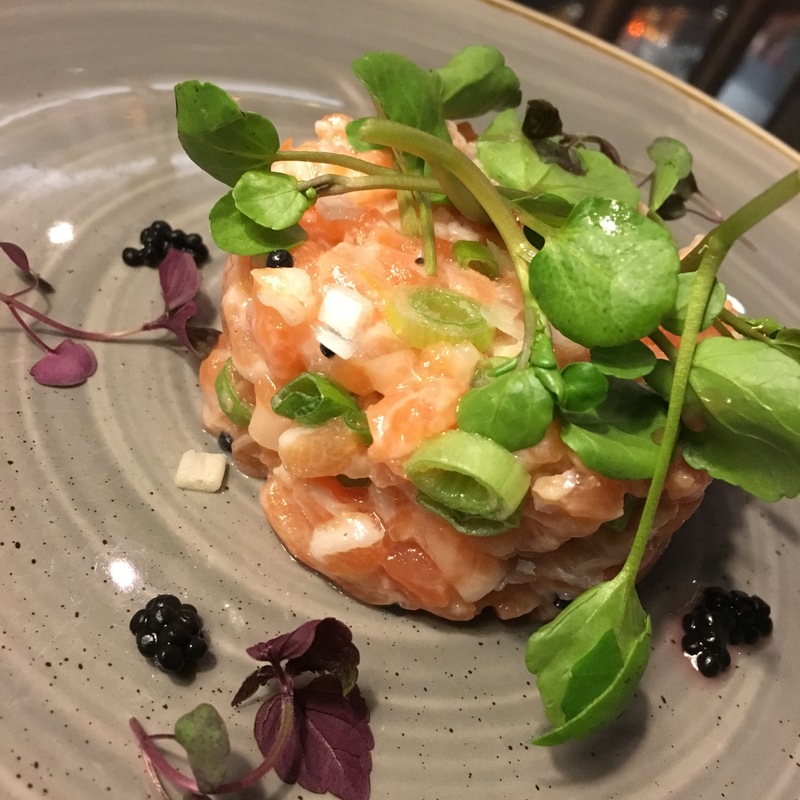 A stand out from our new Summer menu is without doubt the salmon tartare starter dish with spring onion, lime & arenkha. Here at Monteiths Edinburgh we pride ourself on serving quality Scottish food and we’re fortunate enough in Scotland we have an abundance of salmon. When most people think of tartare steak is normally the first thought that pops into their head however salmon is a fantastic alternative and our take is full of flavour yet quite simple to make at home. Follow our recipe below for a delicious starter to your main meal. Select a nice bottle of white wine to accompany your starter and enjoy. Venturing out to explore the Edinburgh Fringe Festival this year? Planning a day out with friends & catching a show? Be sure to visit us for lunch, dinner & cocktails and make your day out even more memorable. Located in the heart of the Old Town on the Royal Mile Edinburgh the stunning Monteiths will add some sparkle to your day. Open from 12pm everyday serving quality Scottish food, hand crafted cocktails, craft beers & wines from around the world Monteiths is a must for any visit to the Edinburgh city centre. Book now!